Originally from Santa Cruz, California, soprano Estelí Gomez enjoys a varied career of solo and ensemble singing throughout North America and Europe. In November Estelí was awarded first prize in the Canticum Gaudium International Early Music Voice Competition in Poznań, Poland, and extended her time in Europe to perform additional concerts in Munich and the Hague. 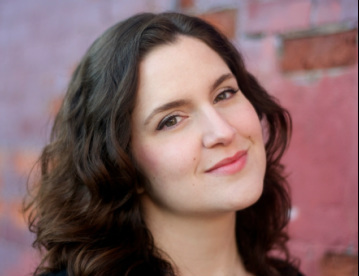 Having graduated from Yale College in 2008, in May 2011 she finished her Master's in voice, specializing in early music, at McGill in Montreal, studying with Sanford Sylvan. While in Montreal, Estelí performed the title role in Handel's Agrippina with Opera McGill, and recorded a CD of Spanish Baroque music with Ensemble Caprice, which was nominated for a JUNO. Estelí has recently performed with Roomful of Teeth, Trinity Wall Street, Clarion Music Society, Conspirare, Seraphic Fire, the Simon Carrington Chamber Singers, Santa Fe Desert Chorale, Santa Fe Opera, Ensemble 1729, Musica Vocale, the Taghkanic Chorale, the Onion River Chorus, Ensemble Caprice, Les Violons du Roy, La Nef, and Daniel Taylor's Theater of Early Music. Recent and upcoming performances include a recital of premieres of music created for her by composers at University of Oregon, Eugene, on the Vanguard Series for new and emerging artists; participation in the Victoria Bach Festival as a New Young Artist and featured recitalist; a tour of the South with early music ensemble Armonia Celeste; and soprano solos in a performance of Handel's Messiah with the Poznań Boys' Choir in Poland.